Along Vietnam’s coastal plains, Dalat vietnam is an amazing place that served as a vacation retreat for the French. The French when they came here, made the very own version of Paris. They constructed this on a plateau which was at a height of around five thousand feet above sea level. 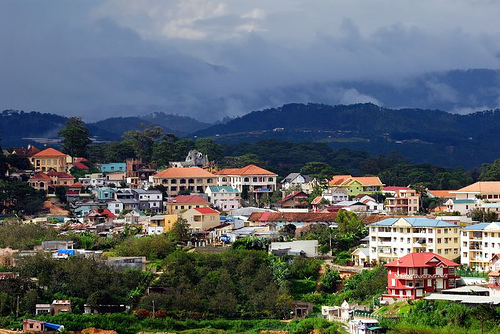 Dalat is also called the city of love. The weather here is mild and like spring most of the year. This place is well known amongst the locals as a famous honeymoon destination. According to the local people, the city is quite magical with beautiful landscapes; there are amazing waterfalls, forests that are thick and green. This place is also famous for its many flower gardens. Traditionally the original French elegance is quite prominent here with the graciousness that is offered by the Vietnamese culture, to make the most beautiful hotel in dalat here called the Sofitel Dalat Palace hotel. This marvelous place overlooks the Xuan Huong Lake which was built in the year nineteen hundred and twenty two. This was still the best mountain resort in he whole of indo china. This hotel in dalat has a world class, eighteen hole golf course. This is quite rare for a place like dalat Vietnam. This happens to be the only one of its kind in existence. The Halong Bay vietnam is said to be where dragons came down from heaven and spat out long streams of jade droplets, these apparently fell into the Halong Bay. The thousands of islands and inlets here protect the bay from all the people who come here uninvited. It was also made to defend the region from the invading marauders. This beautiful water body raises curious questions. This place has many islands that are nature sculpted. The outcropping here resemble different animals like dogs, elephants, toads, monkeys. These shapes have surreal quality and are made in the classical Chinese and Vietnamese painting styles. The sampans and the junks very artistically seem to blend into the silhouette against the beautiful horizon like large butterflies. These are about hundred miles in length. This place is also home to many beautiful beaches. The beaches here are sandy and have very few people around so there is a lot of privacy. The fishing village here is very unique and is many centuries old. The boat people here till today honor the water deities and perform rituals regularly. There is a huge fleet of tourist boats and an inexpensive hotel here which makes this place an ideal visit. Make sure you go and check out the Bay Chai and the Hong Gai . There is a wealth of hidden lagoons and many caves that are mostly hidden and can only be accessed by boat, the caves here are rich in stalactites and stalagmite formations. You could either take a boat ride or even have a trip in a kayak that would take you zig zagging through the famous bay. This place has a poetic charm as well as abundant wild landscape all around..there are several waterfalls that break in to the smaller streams and come descending down..I would suggest you to go in the peak flowering season that is in the month of January you would be left spell bound.. The place reeks of the French influence it has seen. 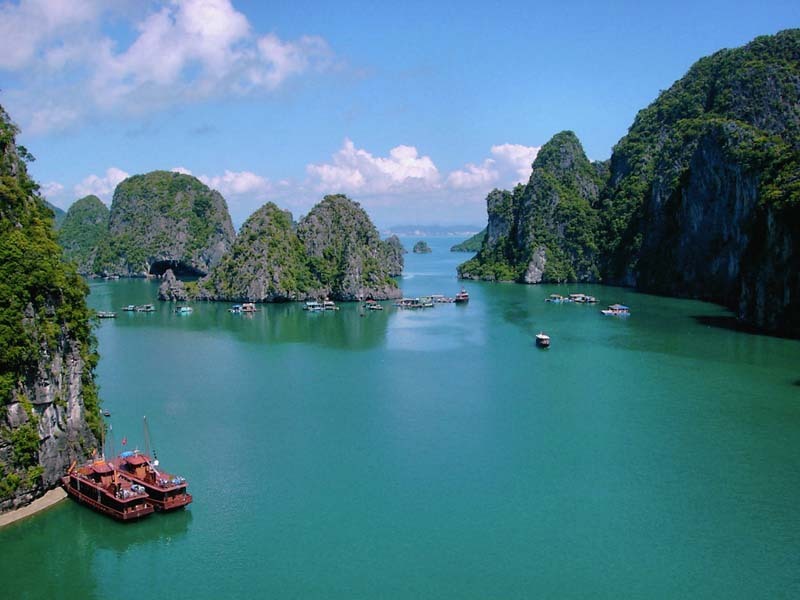 This Vietnamese city of love in its scenic setting makes me want to catch the next flight to there. Great article on a lovely place.